The BRP Tarlac is expected to arrive in Vladivostok, home of Russia’s Pacific Fleet, on Oct. 1. 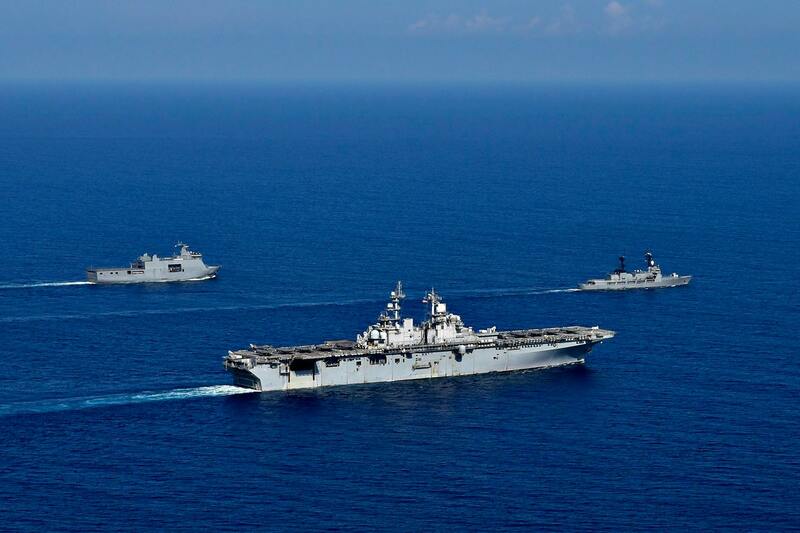 On its return voyage, it is expected to drop anchor in Jeju, South Korea on Oct. 10 for an International Fleet Review (IFR). Activities in Russia will include visits to naval facilities as well as sports and cultural interaction. Sea sub-phase exercises will also be launched in the waters of Vladivostok. Administrator's note: Eventually, this will be merged with the BRP Tarlac's own thread. But for now . 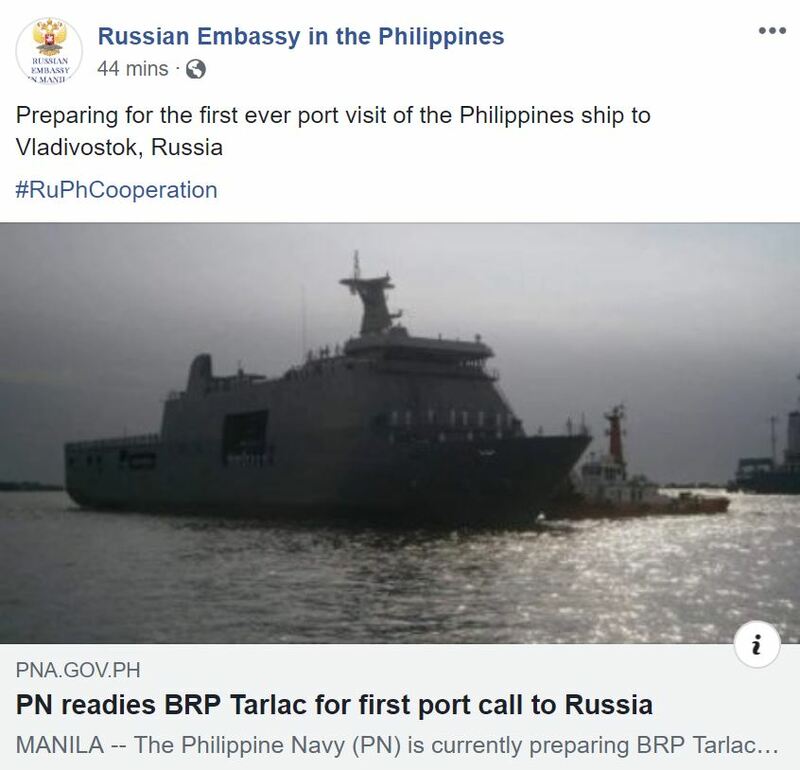 . .
MANILA -- The Philippine Navy (PN) is currently preparing BRP Tarlac (LD-601), one of the two strategic sealift vessels in its fleet, for its first ever port visit to Vladivostok, Russia. Preparations for the ship's port visit to Russia include stocking of provisions like fuel, oil, lubricants and sundries needed for the voyage. BRP Tarlac will sail alone and Zata said the voyage from the Philippines to Vladivostok, Russia will take "eight to 10 days." 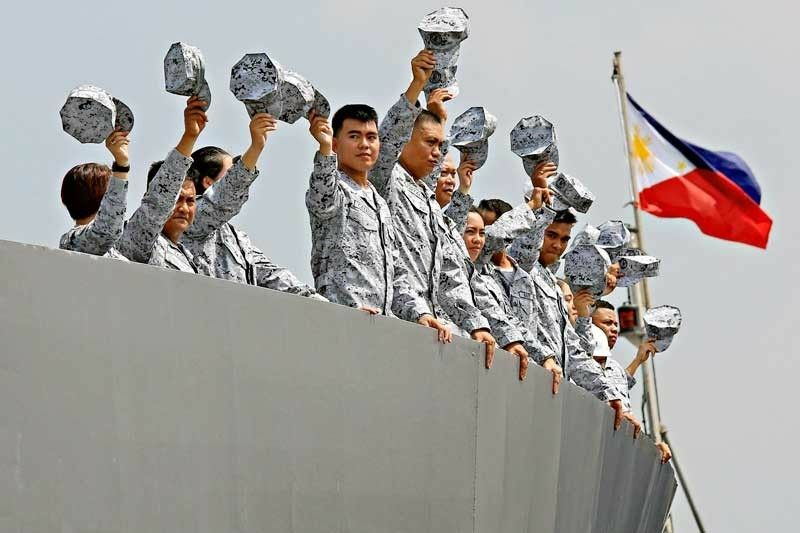 The Philippine Navy has sent 400 of its personnel on board a recently-acquired amphibious war vessel to participate in the founding anniversary of China’s naval force next week. Capt. Jonathan Zata, head of the Naval Public Affairs Office, said the BRP Tarlac is expected to arrive at Qingdao, China and will join the other naval forces of Asia and other foreign countries for the main celebration of the 70th Founding Anniversary of the People’s Liberation Army-Navy (Chinese PLA-Navy).